Word is spreading fast about the terrible burglary at Soulstice HQ on Sunday 24th June 2018. Cherry Lodge is being kept informed of all developments. Updates will be posted here and on the Summer Soulstice website. 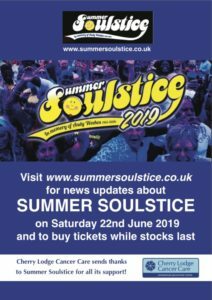 UPDATE (31st July 2018): Donations via the Summer Soulstice crowd funding page have now reached £27,360 (91% of the revised £30,000 target). Thank you to everyone who has donated. The page will stay open until 1st September 2018. After an amazingly successful Summer Soulstice fundraiser last Saturday, we looked on course to give Cherry Lodge Cancer Care another large sum of money this year. Sadly within 36 hours of the elation, we were hit with some harsh reality that a robbery had taken place at the Old Elizabethans after the event. Thieves broke into the building late on Sunday and despite our own stringent security measures, managed to break open the safe vault using acetylene cutting gear & hammers. These people have made off with over £45,000 in takings from the event, which was awaiting bank transferral this morning. We’re currently helping the police with their investigations but fear that this money, which everyone generously helped to raise on Saturday, will never be seen again. 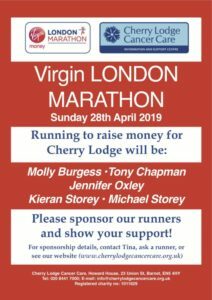 The long-term effects of this theft on our charity event has created uncertainty and has seriously undermined the chances of giving Cherry Lodge the money they need this year. It has also put all our future events at risk. Every single one of us in the Soulstice committee & on the event crew, are feeling very numb right now, but we will try to keep you posted with what is going on and what our next steps will be here at Summer Soulstice.